Free to all Easter Egg Hunt in Town Park. 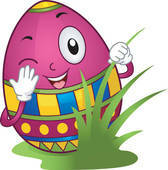 Egg Hunt will be done in age groups for safety. Please bring your own bag, basket, or something to collect eggs in. Eggs filled with candy and small toys. Light Refreshments will be provided. Easter Bunny will be on hand for pictures. (pictures will need to be taken by you) Thank you to our sponsors, Former Mayor/Now Sussex County Clerk of the Peace, Norman “Jay” Jones and Texas Roadhouse of Seaford.